Okay let's get this clear - I am not a certified Youtube guru. I haven't even had my Youtube channel for 6 months. This is not a "How to grow your subscribers" post - I haven't hit 100 subscribers yet but I am absolutely over the moon that I have almost reached 80 subscribers. I don't have enough experience about Youtube to tell you how to grow your channel, I am still learning this for myself but I did want to write a blog post for people who are thinking about starting a channel. On this particular topic, I am very familiar with this scenario. If you whizz through my New Year's resolution blog posts, every year I have spoken about creating my own Youtube channel. I spent months watching different Youtubers talk about starting a channel and when it came to buying a camera I know that quite a lot of people say don't spend a fortune on your first camera for Youtube because a month later you may decide that Youtube isn't for you. This is a pretty good point but for me, I knew a good camera was worth the investment because I have always wanted to record my trips and everyday life with Ollie - even if I didn't use the footage for Youtube or my blog. I love the idea of capturing memories so I didn't mind taking the risk with a pricey camera because I knew I would still use it. I decided to get the Canon 80D and I have been on cloud nine ever since. I am not a camera whizz so I love that the Canon menu is really easy to use - I am planning on doing a more specific camera blog post soon in case you are curious with how I shoot my outfit photos. For filming, I love using Canon because I found the menu really easy to change and best of all, I love the flip screen. I can see myself in the camera and this makes filming incredibly easy. I think equipment and editing will be saved for another blog post but in terms of physically uploading and posting your first Youtube video...it is an incredible feeling. Writing a blog post feels very rewarding and I have always loved having a tiny corner in the internet, I love that people can scroll through my blog and find really old posts and hopefully they find inspiration and help with beauty, food, lifestyle and fashion. 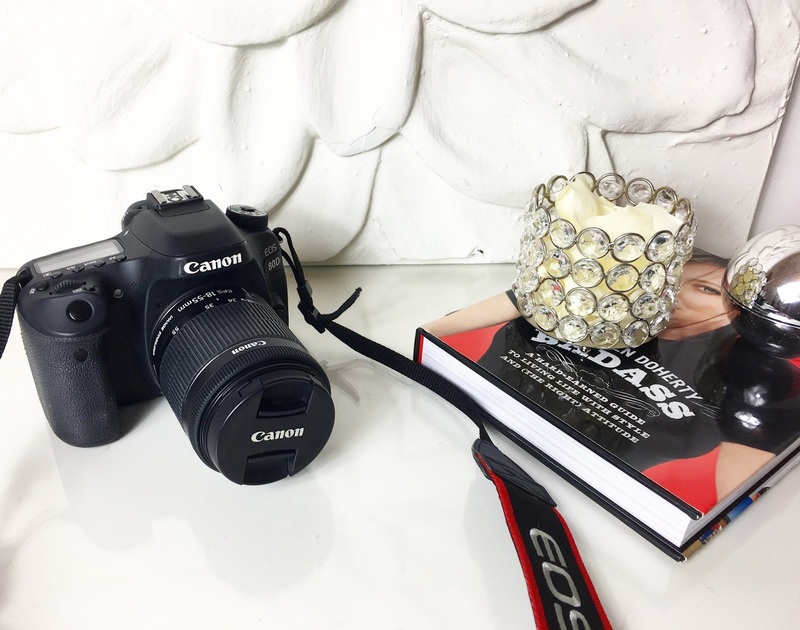 With Youtube, your blog readers get to see the person behind the words and the perfectly posed blog photos. I was incredibly scared to film my first Youtube video, I still am very shy in front of a camera and I am very wary of saying the wrong thing or sounding dumb or speaking too fast...the list goes on. But moving past my worries, I really love the impact that Youtube has. It is pretty amazing that you can really express yourself and I love getting to know people through watching their Youtube videos. If you are still on the fence about making your first video, just go for it. I wished I had started sooner. I actually received my first mean comment this week. I didn't expect to receive rude comments this early on but after a brand posted a beauty tutorial on their Instagram page, I saw the cruel comments posted underneath it. Don't let this put you off starting a Youtube channel - you can't please everyone and if you are passionate about something, it doesn't matter what anyone else thinks. If you love what you talk about then that is all that matters. I have loved every moment of filming and editing clips can be a very long process but I find it very interesting to put a video together. It is a completely different process to blogging but it makes a change to produce fast and personal content. I haven't started my Youtube channel to make money, I haven't even switched this feature on and today Youtube announced that you now need over 1,000 subscribers to make money from your videos. Making money from Youtube is not a high priority for me, I just love talking about clothes, beauty products and I love filming what I am passionate about. On a personal level, it is certainly helping me break out of my shell and in a years time, I want to look back and see whether my confidence has grown due to filming in public and speaking to a camera.